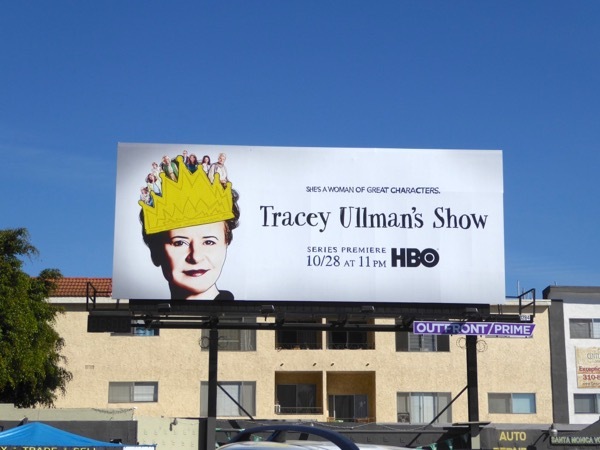 There's a reason that Tracey Ullman has been crowned as a queen of comedy as 'She's full of personalities' and 'She's a woman of great characters'. 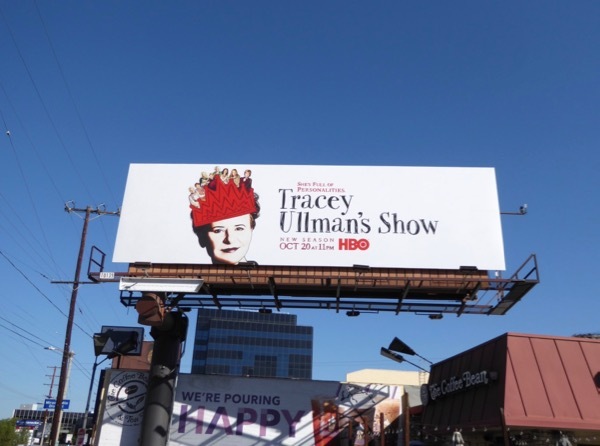 Now the British funny lady is back for a sophomore season of sketches on Tracey Ullman's Show on HBO (which also airs on the BBC in the U.K.). 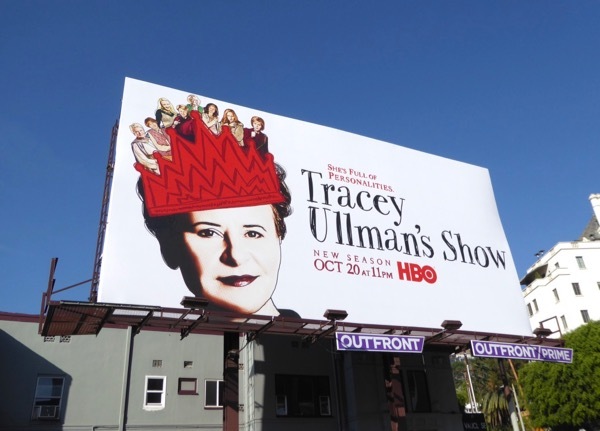 Daily Billboard loves the clever season promo ad creatives with their different colour crowns filled with an assortment of wonderful characters. 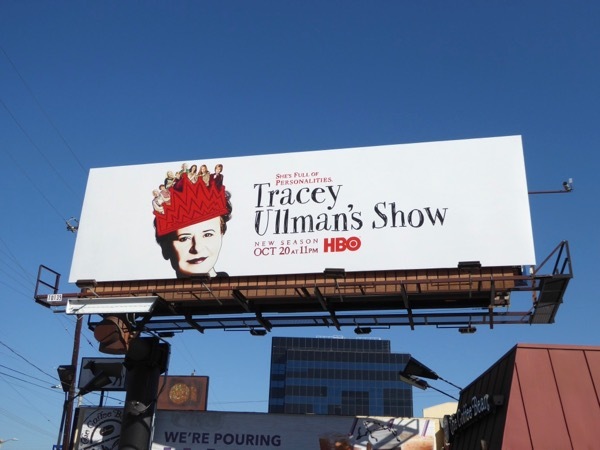 These season one billboards were spotted along Santa Monica Boulevard in West L.A. on November 8 and in Times Square in New York City on November 12, 2016. 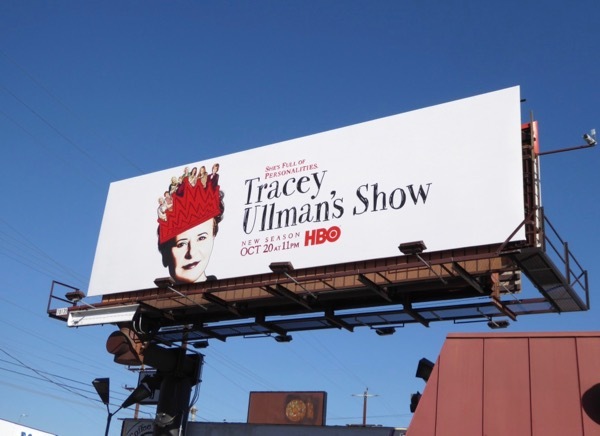 Meanwhile the season two billboards were snapped along L.A.'s Sunset Strip and La Cienega Boulevard on October 14, 2017. 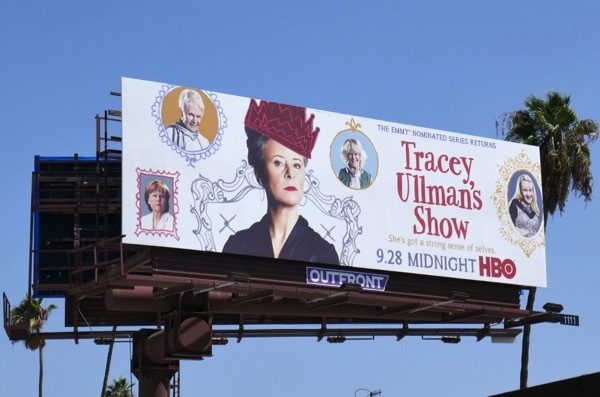 Tracey Ullman ruled the airwaves in late 80s with The Tracey Ullman Show, so let's hope she continues to reign supreme with a simple punctuation change and this comedic revival. 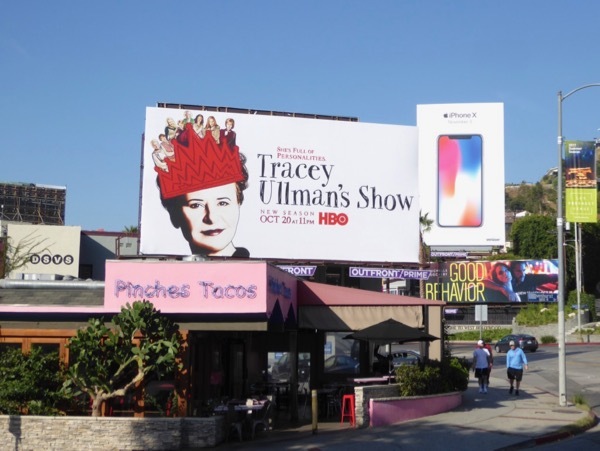 UPDATED: This particular queen of comedy is back for a third season of sketches and impersonations on HBO. 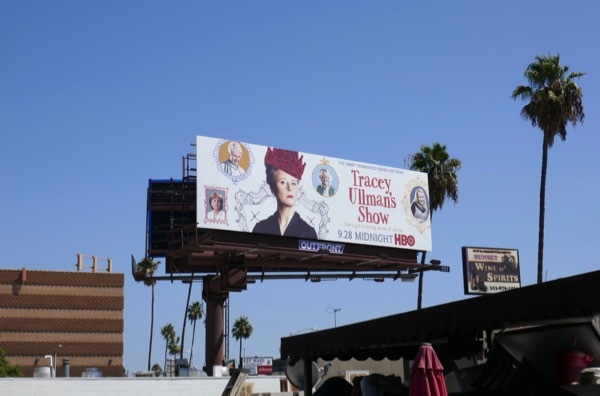 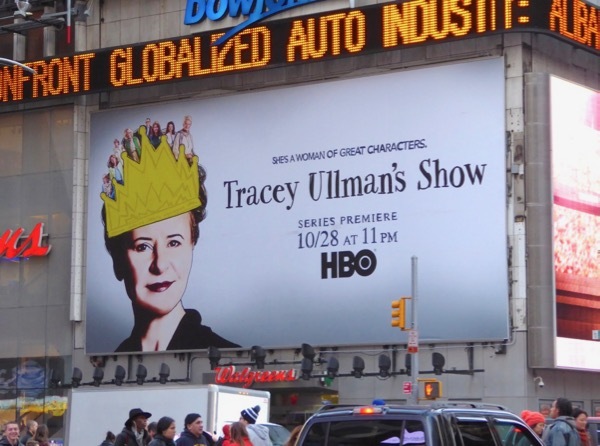 This season three billboard for Tracey Ullman's Show was spied along Sunset Boulevard on September 5, 2018.